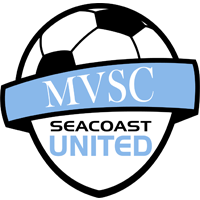 Merrimack Valley Soccer Club's (MVSC) mission is to promote the game of soccer to youth of all ages and skill levels with the purpose of providing the opportunity for each player to develop to their highest respective potential. MVSC strives to maintain an environment that embodies the core values of integrity, leadership, intensity, respect and teamwork while enhancing self-esteem, promoting self-confidence and cultivating a lifelong passion for the game. Established in 2016, Merrimack Valley Soccer Club has seen rapid growth and success with its teams at the U10-U14 age groups. Based in Andover, MA, their home fields are located at Greater Lawrence Technical Institute.